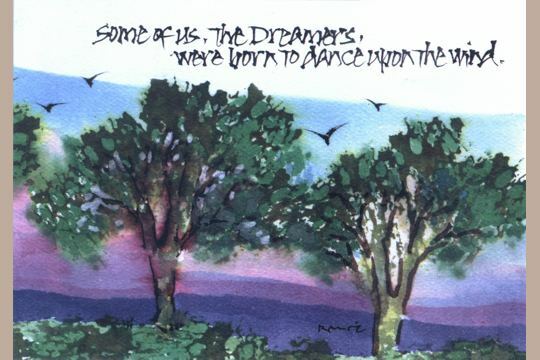 Home > Papers & Stationery > Greeting & Note Cards > Note Card - Some of Us, the Dreamers, . . .
Gorgeous is not a good enough word to describe the watercolor painting that is the basis for this striking card. The image wraps around to the back of the card making it even more special. The birds are featured dancing upon the wind above the full foliage of the elegant trees backed by an overwhelming violet and deep purple sky. were born to dance upon the wind. 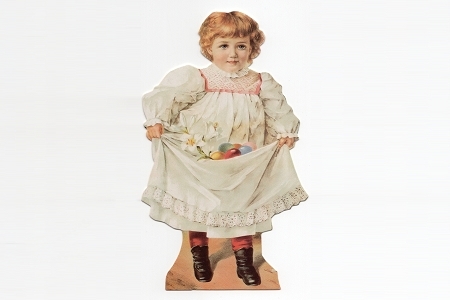 The card is printed on watercolor-like paper and measures 4-3/4 by 6-3/4 and is accompanied by an appropriate envelope. The inside is blank for your own message.